$2.6 billion was the revenue of a business named Airbnb in 2017 without owning a single asset. There has been a gradual shift from the pipeline to platform bringing in a major economic disruption. Thanks to the latest technology which has provided the desired platforms through means of connection and networking – bringing in $$ saved & enhanced value to the end users. Today, what a company connects matters more than what it owns. Platform-based models are changing the entire flow of the value in businesses. Platform models act as an enabler for independent groups of users to interact with each other while creating and consuming value through a backward and forward integration – with buyer and seller changing hats based on their current need for consumption. Producers create value and consumers consume them. 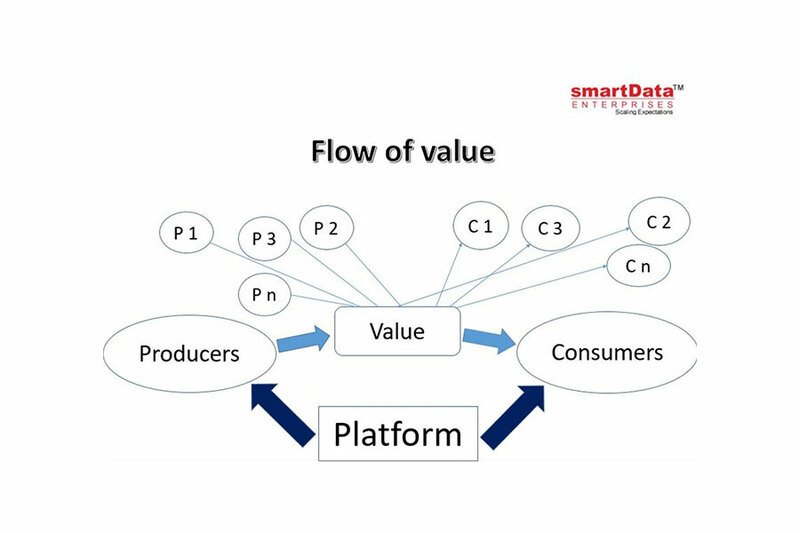 An infinite number of users can directly interact and the flow of value is multi-sided & horizontal, this is the main reason why platform models are putting the death knell on the traditional pipeline flow models. Benefits are many folds starting from businesses providing better availability of services at a lower cost as the cost of owning inventory changes to cost of owning users, which saves $$$ and time both. Some of the good case studies you may see here which explain how smartData has helped customers create a platform to enhance their business outreach as well as customer acquisition through this new platform business model. smartData Enterprises Inc with its years of experience in the technology and business field is providing extensive services to small and medium enterprises who want to scale higher and change its base to platform type.